Perhaps the most pleasing transformation is that, by seeing what they have been able to accomplish, the people of Kitui feel ready for anything! Please keep Kitui in your thoughts and prayers in these next few weeks. In April we will be in touch with our final update from Kitui, and exciting news about the next steps. 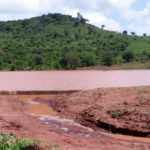 The Musosya dam is now clear of silt and debris and collecting water. 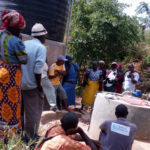 The community are being trained on maintenance of the wells. 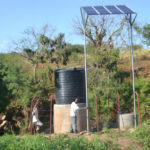 We are installing solar powered pumps at our wells. Our community farm is bearing fruit, such as these tomatoes. 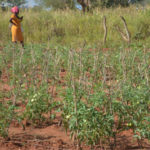 Thanks to the project, families in Kitui have seen their crop yields increase three-fold.